I kicked off 2018 by jumping into the elite race at the Bear Mountain Canada Cup on Saturday. It was a lot of fun for every minute of racing I had. I was happy to see my old pals from mountain biking out racing at Bear Mountain Canada Cup either in the elite or masters category. Catherine Pendrel absolutely demolished the field so it is great to see her not slowing down one bit. 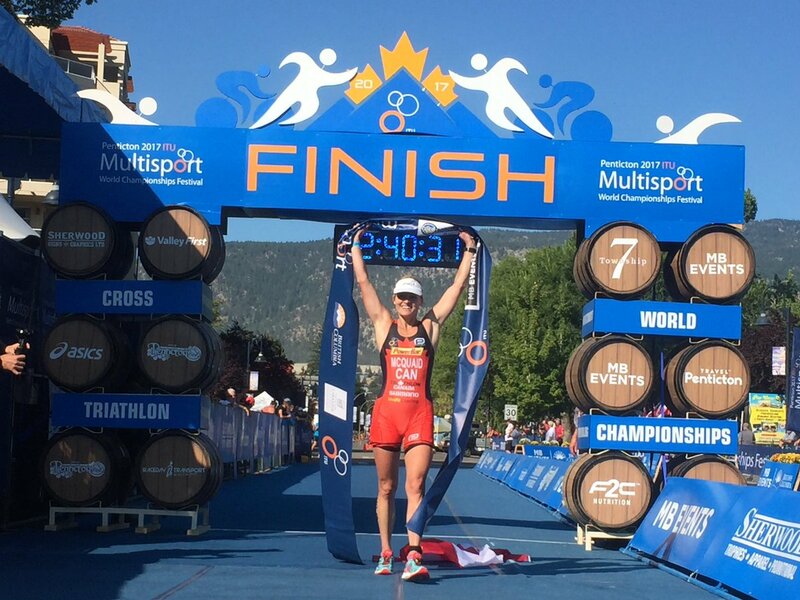 Kate Button is working her way through the pro xc field after deciding a few weeks ago to really focus on her cycling and put the triathlon on the backburner. I am stoked to help her in her goal to race World Cups. It was a pleasure working with a large group of the juniors and under 17s from all over Canada while coaching the Cycling Canada junior camp. Seeing them put it all together to have great races on Saturday is amazing. The future is bright in this sport. Thanks to Ian Hughes for some coaching mentorship this week – the experience was invaluable. Unfortunately, I only finished just under half the laps I was planning to race on Saturday….. Riding from the back of about 30 to the top 10 was great – there were two hairpins and lots of traffic up the skinny golf cart path so passing was challenging. Passing or riding the same speed in the single track as the group I was in so that was great given my lack of racing for the past SIX YEARS!! I think I was climbing well but there was more there with some equipment fixes.. which I will touch on later. So in comparison to my outing in 2016, I have better fitness. My tire burped a bunch of air out at the end of the first lap and I thought it was low on lap two. Learning moment: load the adapter onto the air can and have it readily available. I had both pieces separate and wrapped in a cloth in my seat bag which is inconvenient/time consuming – don’t do that at home kids. I opted to stop at the pits to refill air. According to the pump I used.. I really didn’t need to stop. So in all, I wasted time thinking about my tire being flat, having to stop to use a pump, and overthinking things for too long. I probably attempted to close the gap from that stop all at once. Predictably, in an easy section of the bottom single track, I was using my face as a brake pad. This is the most scary crash ever because no girl wants to knock out all of her teeth. I also stabbed my knee with something and it took me a couple of minutes to gather myself. After dragging my carcass off the middle of the trail so I wouldn’t get run over, assessing the damage, and noting that my teeth were still in my head, I rode myself out of the trails. I decided falling on your head is a good time to retire from races just as a safety precaution. I went toget stitches and start googling about loose teeth. The race was excellent for a number of reasons. One, I recognized I haven’t had my heart rate above 185 in training for longer than 2 minutes at all this year. It is time to get into this style of training and I can’t wait to get out at another mountain bike event to do so. As only my fifth ride on my fancy new Giant Anthem and I recognize now that my front chainring of my 1×11 Shimano setup is too small for me. I am undergeared on the uphills and spun out on the downhill/flat sections. This is my first race ever with this set up, so the information is crucial for any future racing I do. I am going to try either a 32 or 34 front chainring. 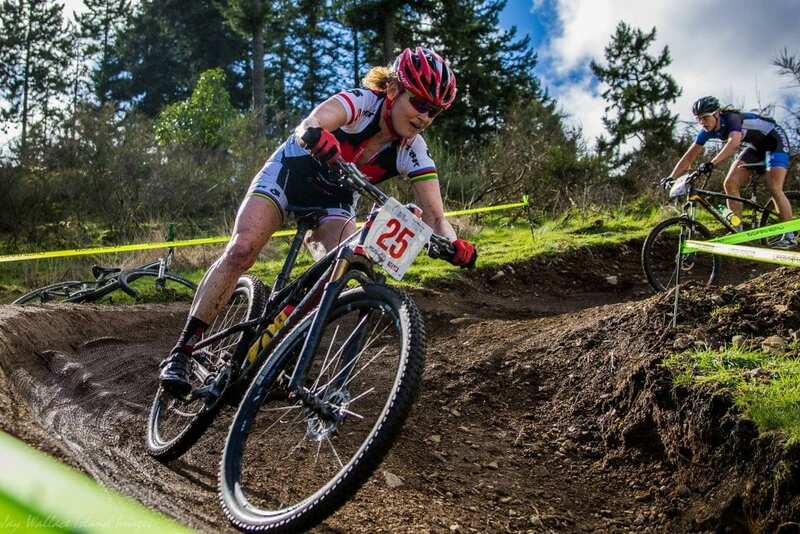 As an athlete and as a coach, I find cross country mountain biking so fun and addictive. I appreciated the opportunity to do some coach development this week with Ian Hughes and I have Dan Proulx to thank for that. 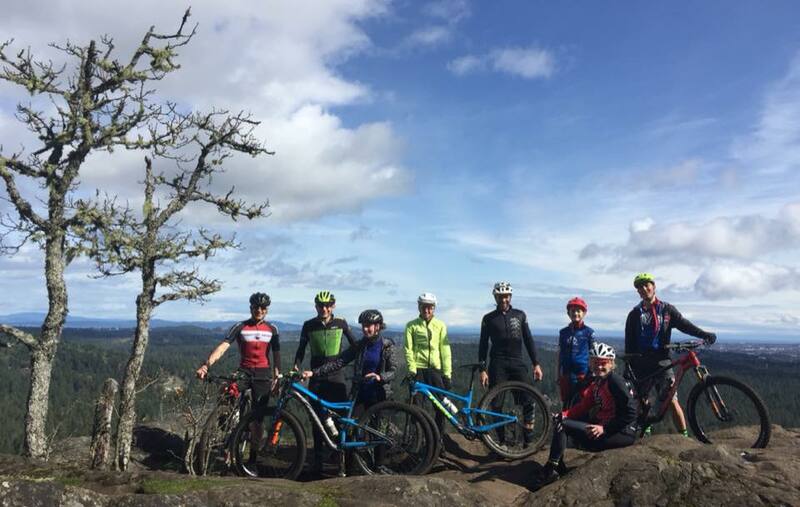 Things are continually changing in mountain biking so as a coach I am fired up to acquire the skills to teach this level of racing… which requires some work from me. Huge thank you to Christyna Mitchell and dentist Dr. Mark Kramar for giving up part of their Easter Sunday morning to give me an emergency check up. Best cousin ever and happy to have a new dentist Mark! Turns out I am going to be just fine after a couple weeks of baby food and mashed potatoes. Thanks so much for all the cheers from the locals, to Giant Bicycles Victoria for getting my race rig locked and loaded in time for the race, to Shimano for another year of amazing support, Champion System for kitting me out for 2018, and thanks to Rudy Project for protecting my melon and my eyes. Looking forward to busting out the new Blueseventy Helix this week as it looks like the weather is looking much more springlike. I appreciate the support for another season. 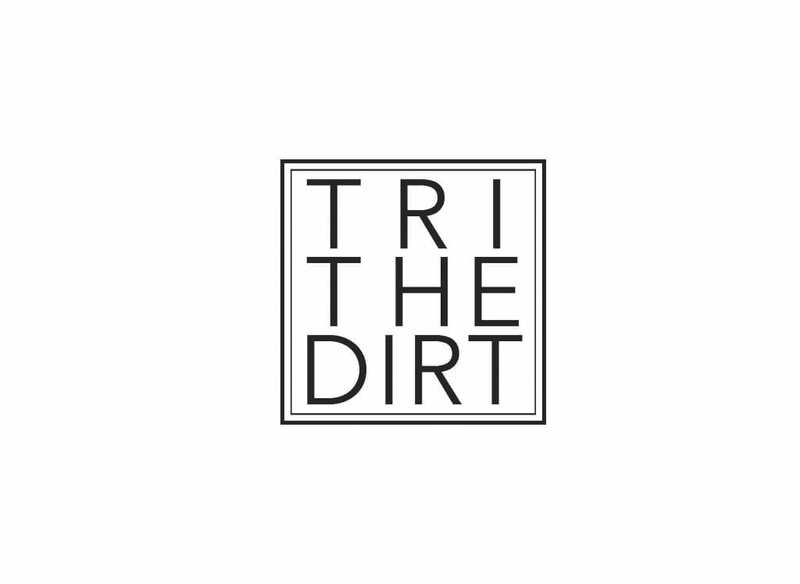 See you at Bear Mountain for Tri The Dirt and check with me for mountain bike lessons! I am starting a weekly beginner mountain bike skills clinic complementing my Tri The Dirt Camps. Contact me for details. This article discusses some of my philosophy on skills. Thanks for reading and remember.. rubber side down. Then again, if you aren’t upside down every now and again you should push yourself harder ?